The Oculus Rift is one step closer to a commercial launch as the company just announced their first round of funding to the tune of $16 million. Along with the announcement comes news that two investors have now joined the company’s board of directors - Santo Politi of Spark Capital and Antonio Rodriguez of Matrix Partners. In addition to the aforementioned investors, Oculus notes that Founders Fund and Formation 8 also participated in the Series A round of funding. We’re told the money will be used to accelerate the development of virtual reality hardware, software and services which will ultimately create a full virtual reality platform for gamers. Prototypes of the Oculus Rift are already in the wild resulting from an overwhelmingly successful Kickstarter campaign. 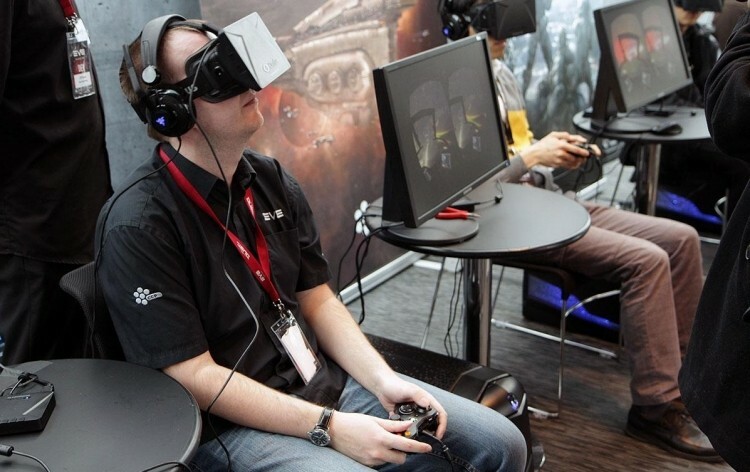 The virtual reality headset initially took to the crowd funding website in August 2012 to seek funding of $250,000. Backed by the gang at Epic Games and Valve, the campaign managed to net nearly $2.5 million. Developers have already cranked out a few Rift-optimized titles including Half-Life 2, Team Fortress 2 and Minecraft. Big-name companies like EA’s DICE are also currently exploring the Oculus Rift for future game and there are even some titles being built from the ground-up to make the most of a virtual world. No release date has been set for a commercial release, the company noted in a press release on the matter.